Rectorate, UIN NEWSÂ Onlineâ€“ At least 17,300 new student candidates for S1 academic year 2017/2018 will surely follow the local recruitment selection test (SPMB Mandiri) UIN Jakarta. They are fighting for about 4,000 seats provided for this enrollment type. 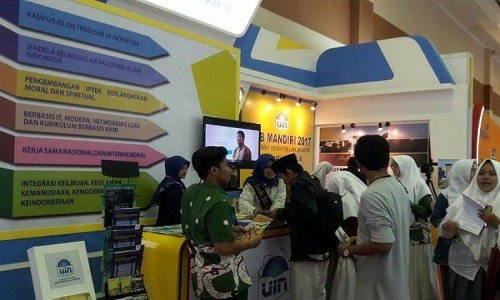 Based on the latest data obtained from the Center of Information Technology and Database (Pustipanda) as of 07 June at 12.00, the number of applicants for SPMB Mandiri who will take the test reaches 17,300 people. From the total applicants, Social Groups (B) occupied the highest applicants, which amounted to 5,057 participants. Subsequently, there were 4,987 participants of the Science Group (C), 2,891 Religious Groups (BA), Religion Groups (A) as many as 2,279 participants, Social Science (CB) Groups of 1,025 participants, and the Science-Religion Group (CA) As many as 1,061 participants. Implementation of the entrance examination will be held for two days, Saturday-Sunday (10-11/06). 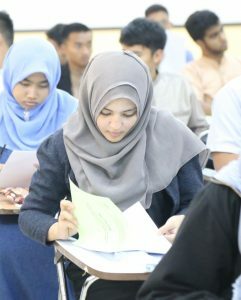 Participants were placed in several campus buildings, both campus 1,2, and 3 as well as some schools around the campus with a total of 668 local exam rooms. 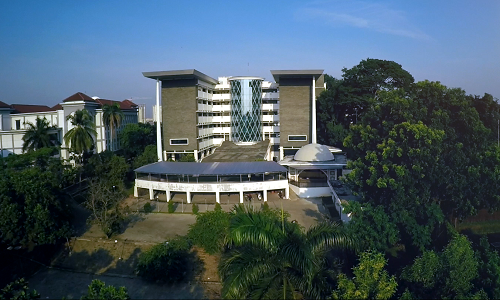 For that, considering the many rooms on the campus of UIN Jakarta, the participants are encouraged to first do survey location and exam room the day before the selection process. This is intended to avoid delays, and to create an orderly, safe, and comfortable atmosphere during the exam. “We expect the prospective participants to survey the location as well as the exam room the day before the implementation. If they didnâ€™t, they could face the risk of being late because they have to find their assigned room, so it can cause harm to the participants themselves, “said Head of Documentation and Publication Division of UIN Jakarta, Feni Arifiani MH to UIN NEWS Online in his office on Thursday (08/06). Feni added, on the exam day, participants are expected to come 30 minutes earlier than the set time. In reckon that the selection will be held two days followed by thousands of participants. So, it will be a difficult situation when the participant comes too late while hasnâ€™t know their exam room.